If you join any Disneyland Paris group on facebook, you’re going to see the same questions and answers over and over again. Everyone going for the first time wants to know if there will be a kettle in their room, will they be able to get hot water for bottles in the park and those that are there, want to know where they can get hold of pain killers or calpol. 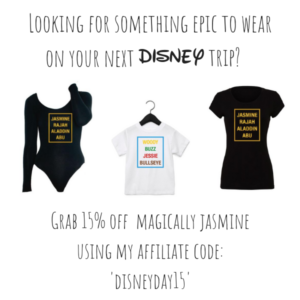 So I’ve rounded up the most popular questions for you and answered them, so you can be kitted up, even before you’ve booked. Do I need to take an adaptor? If so, which one? Yes, the plugs in France are different to the UK, so best to take an adaptor (and an extension lead to if you need a few plugs closer to the bed!) Although some of the newer rooms (like in some of the Cheyenne) so have 1 UK plug, you will more than likely need the round pin extension plug. If you don’t have one, you can grab a pack from Amazon here suing my affiliate link. Am I okay to Breastfeed in the parks? Yes of course, I’ve breastfed all over the parks and have also never heard of anyone having a problem 🙂 You can feed wherever you like, but if you and you child prefer quiet, then head on over to the baby care centre. Can I get hot water in parks for the babies bottle? Yes, the baby care centre is equipped with everything you will need. If you’ve ran out of something, there is also a chance they may sell it too. I’ve forgotten the calpol, where can I get it? Unlike the UK, Calpol can’t be sold in shops and convince stores, you’ll need to hop on the train to the Pharmacy at Val De Europe. If not the other option is to try first Aid. It’s near Plaza Gardens in the Disneyland Parc or the Sports Bar in the Disney Village. The other option would be to use the hotel phone, the green cross button will get you through to first Aid. I need some headache tablets/pain killers, where can I buy some? Sorry, the answer is the same for tablets as it is for Calpol. Do I really need to take a buggy for my 6 year old? Every child is different and only you know you child. 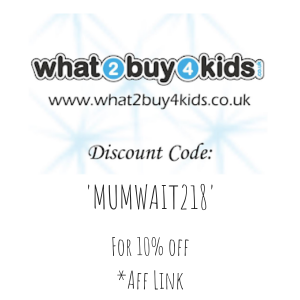 My 2 and 4 year old will happily walk round all week leaving the buggy at home. 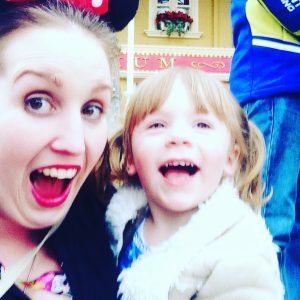 (I wrote about taking a sling to Disneyland Paris Here) However other people will say they used a buggy for their 7 year old. If you don’t want to worry about a buggy all week, you could always hire a sling before you go, or one of the Disney buggies once you are there. 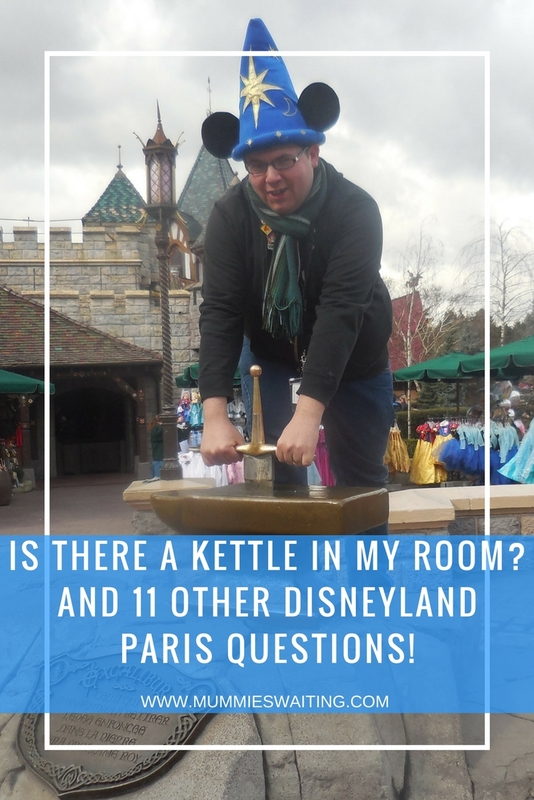 Is there a kettle in my room? If you are staying at the Cheyenne or Santa Fe, then you may have a kettle in your room (if its been left in there) if not, you can hire one from reception and just pay a deposit. They are on a first come first served basis, so best to get there as quick as you can. Yes, though if you have long hair, it’s best to take your own! The dryers in the room are attached to the bathroom wall and not the most powerful, but they will do the job. Are the busses to the parks free? Yes! The busses that go to the parks from your hotel and return are free, you are welcome to use these as much as you would like. How long is the walk to the parks? 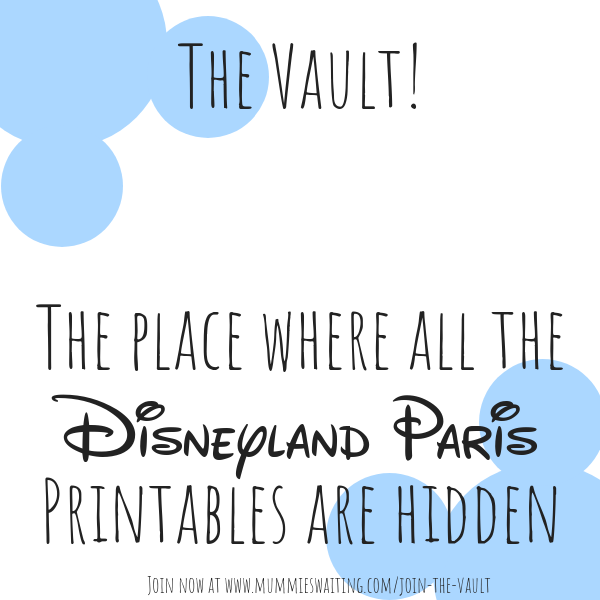 If you are staying at the Disneyland Hotel, you are already there! For Hotel New York it’s just a 5 minute walk through the village and for Newport Bay and Sequoia Lodge its 10. If you are at Santa Fe or Cheyenne, the walk is 15-20. Remember if you have tired kids it can talk a lot longer too. But the walk is very pretty and nice, so it’s worth it, honestly. The parade is usually on around about 5pm, but it’s best to check you map and park programme as this does change. The fireworks show starts as soon as the park closes. So if it shuts at 7, and you’re looking for a good spot, start heading to the castle at 6! If you’re looking to book, why not check out this deal including the half board meal plan, via my affiliate link?